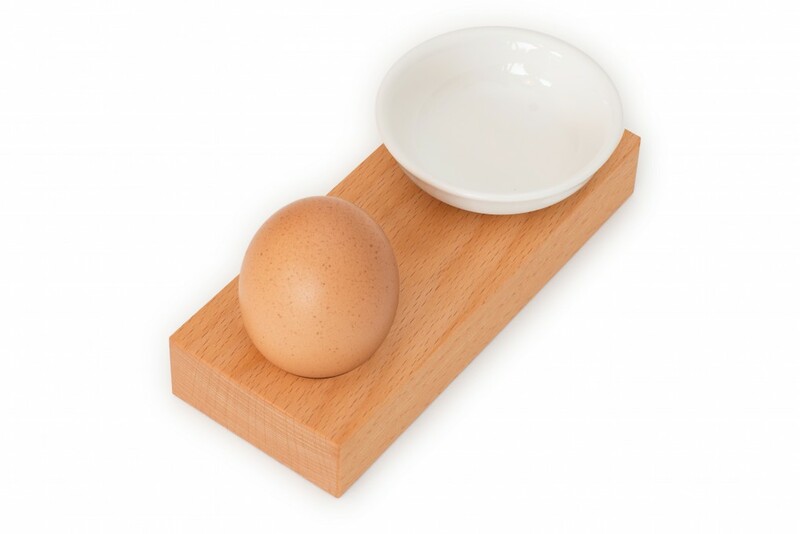 Our design egg cup offers you a quirky way of enjoying breakfast while ensuring that your egg remains securely in place. 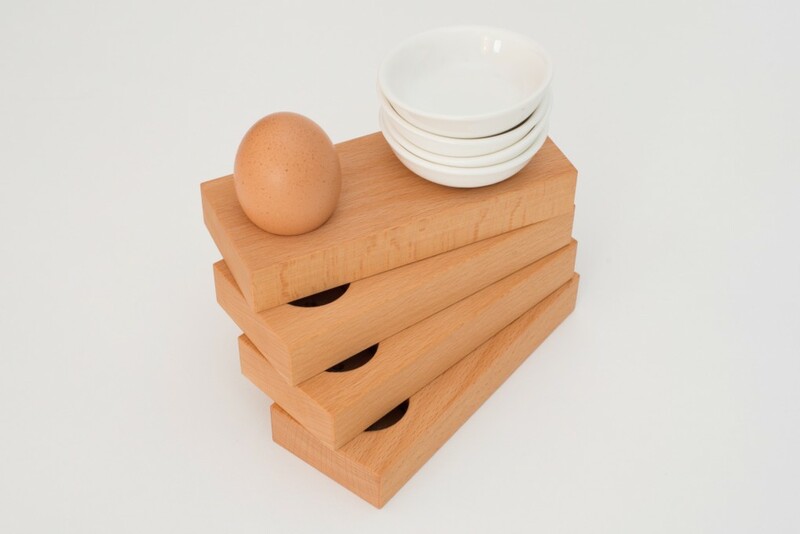 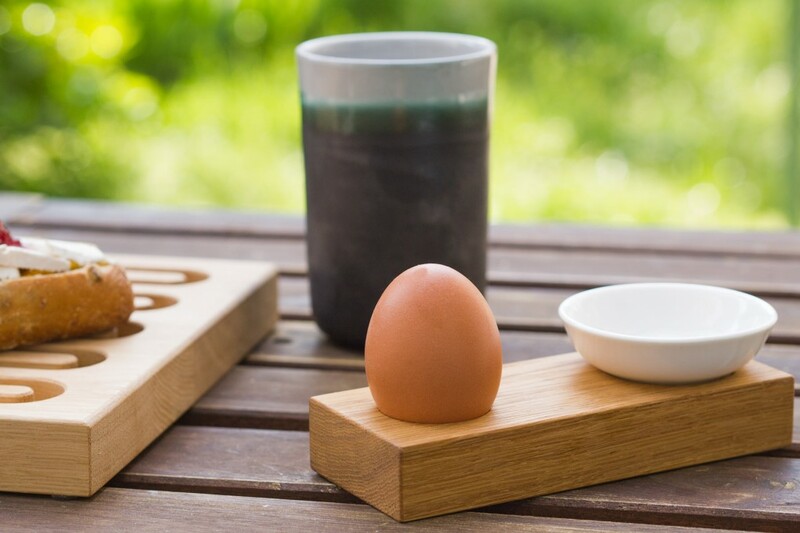 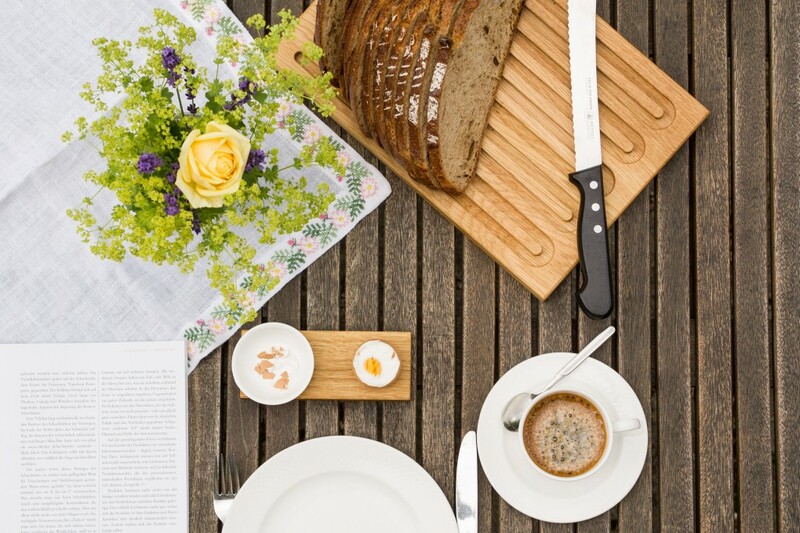 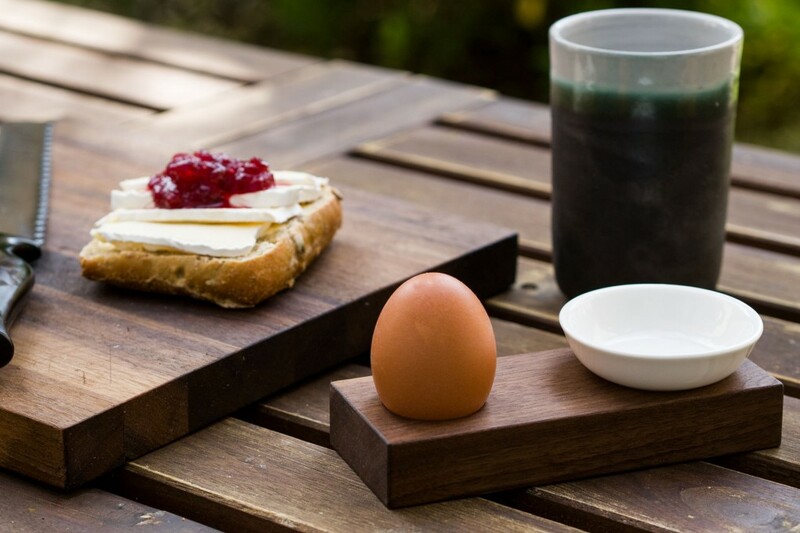 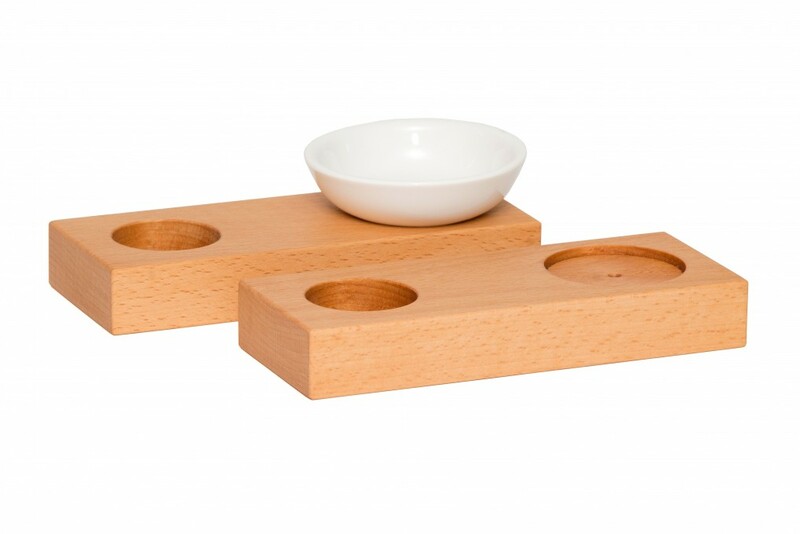 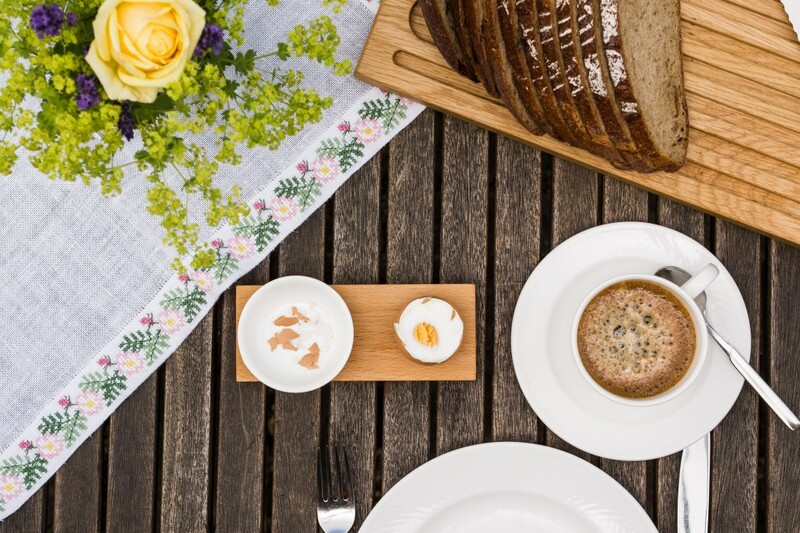 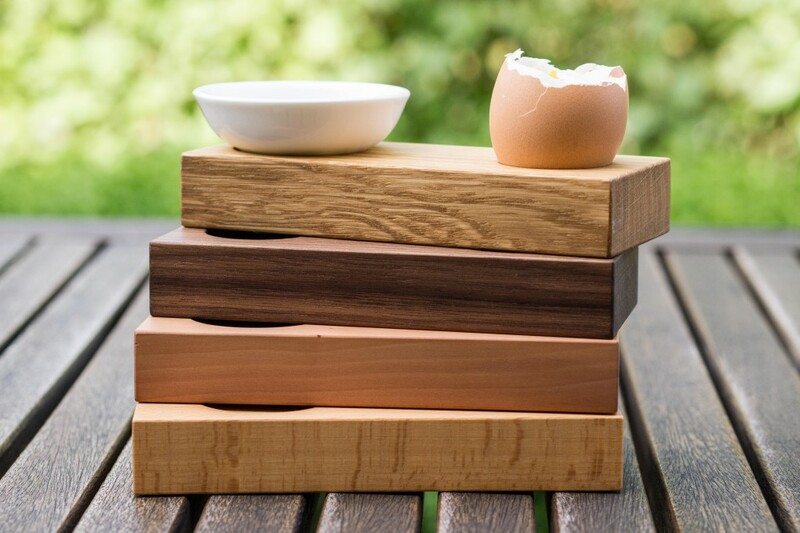 This solid beech wood block with a slot to hold the egg and a china dish for the egg shells is characterised by the simple and understated design of klotzaufklotz. 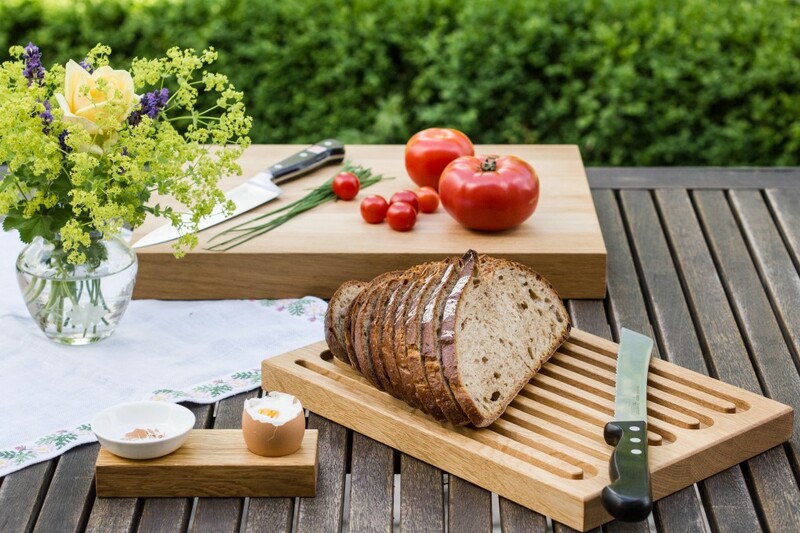 The wood was hand rubbed with a natural and food-safe finish. 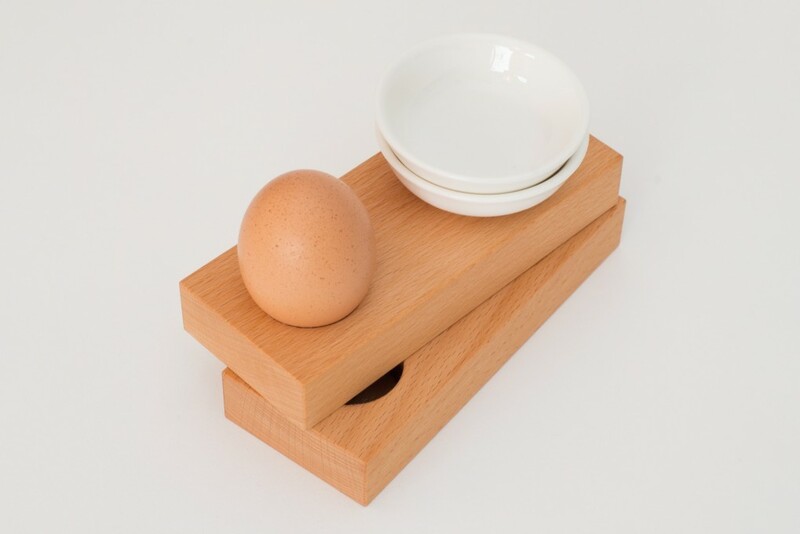 By the way, if you order a set of 4 you'll get a discount, and if you order 6 or more egg cups, you'll get an additional discount!